UPDATE 1455 GMT: Reflecting Turkey’s recent cooperation with Russia, Deputy Prime Minister Numan Kurtulmuş has stepped back from Ankara’s long-term commitment to the removal of President Assad. I am one of those who believe our policy on Syria made big mistakes. I have already spoken bluntly about this. We of course believe that keeping such a murderer or officials of this regime in their job would not be humane. But this decision will be given by those who sit around the table for peace talks. Turkey will be a guarantor of any decision taken in this regard, but it would not be right for us to impose any decision. 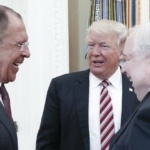 The Deputy Prime Minister turned blame onto Washington while saying the US should still be involved in a political resolution: “[The US] believed that al-Assad must go, but it had no idea about how to make that happen. That’s why we also believe the U.S. will also have to accompany us if the Turkish-Russian partnership reaches a point [in a Syrian peace deal]. UPDATE 1445 GMT: A pro-rebel site says Assad forces have renewed attacks in southern Aleppo Province. The Revolutionary Forces of Syria Media Office claims pro-Assad militias positioned in mountains targeted a series of villages of artillery and rocket launchers, forcing families to flee their houses. The site also said militias in the Ramouseh area of Aleppo city shelling the nearby area. Local sources say many militiamen are being flown into airports near Aleppo, raising concerns about an imminent ground offensive. ORIGINAL ENTRY: Turkish Foreign Minister Mevlüt Çavuşoğlu warned on Wednesday that Syria’s week-long ceasefire could collapse because of attacks by the Assad regime on opposition territory. The Foreign Minister said the attacks were threatening the plan for political talks between the regime and Syrian opposition in Kazakhstan later this month. “If we cannot stop the violations, the Astana process could fail,” he said, blaming Lebanon’s Hezbollah as well as Assad forces. He called on Iran to exert pressure on Hezbollah and other Shia militias, organized by Iran since 2012 to fight for the regime, to halt operations. Çavuşoğlu added that the opposition had so far responded to the truce. Turkey and Russia — on different sides throughout the six-year Syrian conflict, but cooperating since the summer — have brokered the ceasefire and the planned negotiations. But Iran, which along with Russia has been the essential ally for the Assad regime, has been hesitant in supporting the process. Last month Tehran and its militias twice undermined the process to remove civilians and rebels from Aleppo city. The opposition and local sources indicate that Hezbollah and Iranian-led units are involved in the regime’s three-week offensive to take the Wadi Barada area, northwest of Damascus. Qassemi added that the Islamic Republic “expects Turkey not to adopt stances that run counter to its commitments and the facts on the ground in Syria” and that Turkish officials “need to adopt necessary measures to deal with ceasefire violations by the militants”. 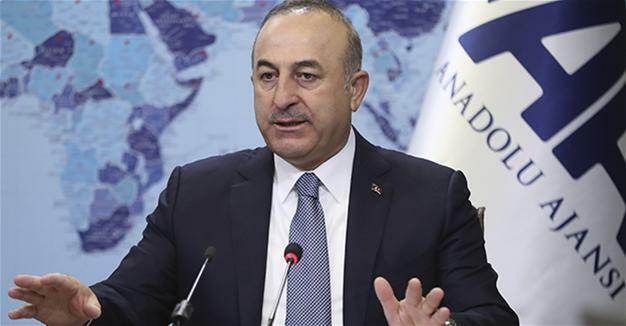 Çavuşoğlu said that Turkey and Russia have been working on a document of punitive enforcement measures against those who violate the ceasefire deal. However, he did not indicate when those measures might be implemented. In addition to the assault on Wadi Barada, whose springs provide more than 60% of Damascus’s water, pro-Assad forces are trying to take territory in East Ghouta, northeast of Damascus. Bombing and shelling have also been reported in northern Hama Province, northern Homs Province, and parts of Idlib and Aleppo Provinces since last Thursday’s start of the ceasefire. Yesterday rebels finally acknowledged responding to the attacks, saying they had fired tank shells and Grad rockets on regime airbases northeast of Damascus. Russian officials did not publicly respond to Çavuşoğlu’s statement and ignored the pro-Assad attacks in and beyond Wadi Barada. Instead, Moscow’s “Center for Reconciliation” in Syria claimed 12 violations by rebels. In another sign of the maneuvers among Turkey, Russia, Iran, and Damascus, President Assad hosted an Iranian delegation on Wednesday. The delegation was led by the Chair of Iran’s Parliamentary National Security Committee, Alaeddin Boroujerdi. A report in Syrian State outlet SANA offered no insight into the issues discussed — in particular, whether Boroujerdi and the Iranian officials were offering support to Assad’s continued quest to take opposition territory or urging him to observe the ceasefire. Instead the site cited historical relations between the two countries and means to bolster and develop them in all fields, including signing economic agreements”. State news agency SANA says a car bombing in Jableh on Wednesday killed 11 people and wounded 35. Jableh, in Latakia Province, was struck by car bombs in May near the bus station, the Electricity Directorate, and the National Hospital. More than 140 people were killed in the bombings and those in nearby Tartous. The Islamic State took responsibility for the blasts. The UN has said a fraction of the 100,000s displaced from eastern Aleppo city have returned to see if they might resume life in the devastated area. More than 100,000 people left the opposition districts in the weeks before they were reoccupied by pro-Assad forces last month. Sajjad Malik, the representative in Syria for the United Nations High Commissioner for Refugees, said about 2,200 families have returned to the Hanano housing district despite freezing conditions and destruction “beyond imagination”. Despite the Assad regime’s claims that it is leading the effort for recovery, Malik indicated that the UN and it partners are providing essential services. He said hot meals are served twice a day to 21,000 people, and 40,000 people get baked bread every day. More than 1.1 million people have access to clean water in bottles or through tankers and wells. In an area where almost every medical facility was bombed out of service by Russia and the regime, mobile clinics are operating, and more than 10,000 children have received polio vaccinations. Malik added that thousands of children who have not been able to attend school need reintegrating into the education system through remedial classes. PreviousBBC Radio: Debate — Should Obamacare Be Repealed?